We Take Care Of All Your Bathroom Plumbing Needs In SW11. Your Kitchen Is Very Important. Our Battersea Plumbers Are True Experts. Call Our 24 Hour Emergency Response Team On 07951538977. Are you a tenant, landlord or homeowner who needs quality plumbers in Battersea (SW11)? Our engineers carry out expert plumbing work and never cut any corners. Trustworth believes professionalism is the key to maintaining happy customers. Our Battersea plumbers provide a specialist range of plumbing work (repairs, servicing and installations). It is essential that you only use a fully qualified engineer. If you don't hire a professional, you'll be left with a very big repair bill. Well, there will be so many mistakes for our team to rectify, the cost adds up. We have a full range of brand new professional tools and use the latest technologies. We never re-use old parts, so expect the very best from us. Our plumbers in Battersea are friendly, thorough and professional. We cover all areas in the borough of Wandsworth, including Putney, Earlsfield and Wandsworth Common. 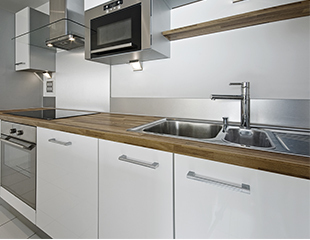 Our experienced plumbers in Battersea are fully qualified to do any plumbing task. So whether you need a new toilet/bath system installed or a leaky tap fixed, choose Trustworth. No job is too big or too small for our team to carry out. We provide property management for landlords that include a full maintenance, repairs and installation package. Our installations team can fit bespoke luxury taps and panels. When it comes to price, we are fully transparent and always honest. You may wonder how much it costs for a plumber in Battersea. Well, Trustworth Plumbing provides standard plumbing work at just £75 per hour in South-West London. Central London does have a slightly higher standard rate-per-hour. This is due to the parking and congestion charges. Extensive plumbing work will require a Battersea plumber to visit you, to provide you with a quotation. All quotations are free. Are you experiencing a plumbing emergency in Battersea? Do not panic, trust us to respond quickly and help. 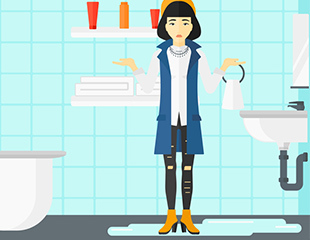 Whether you experience a blocked drain, blocked drain or broken toilet cistern - contact us today. We always provide quality repairs; ones that will last for a very long time. Trustworth does its best to respond to your call as quickly as possible. We will provide initial advice to you before our team arrives. So if you have a burst pipe, we can offer you helpful tips in this crisis. Our emergency plumbers in Battersea will already be on their way to your property to repair the problem. Thinking of becoming a plumber in the UK. Watch this brilliant video by Project Rapport about the career of one UK plumber. Call Trustworth on 020 8670 4443 or 07951538977 for all plumbing repairs and installations. Our team are among the best in South-West London. We pride ourselves on providing quality work. 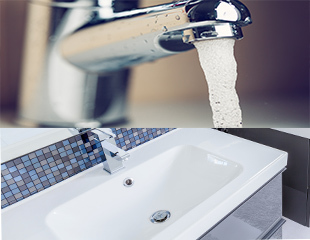 Our plumbers can repair or install new taps, sinks, basins or toilets. With total precision, we carry out installations of showers, water tanks and new pipe work. When it comes to general tasks, Trustworth has real expertise. Landlords in Battersea choose us for property management because we're organised and reliable. We are experts at fitting new baths, sinks ,taps, showers and toilets. If you have a luxury bathroom or kitchen we can execute your visions and ideas. We deal with all your sink waste problems and can install sink macerators. Our company also provides washing machine and dishwasher installations. We can also take away your old dishwasher or washing machine. So if you are a landlord who needs plumbing for a property at short notice; contact us now. When it comes to determining the cost of plumbers in Battersea, you have to conduct research online. You should focus on companies that have a transparent and easy to follow pricing guide. Their prices/rate-per-hour should be clearly stated, as well as any additional costs. Trustworth Plumbing's prices are very easy to understand. We charge £75 per hour for all standard work in the majority South London areas. If you live in an area with expensive parking/congestion charges - the cost is slightly higher.